Alison Crump completed her PhD in Educational Studies in the Department of Integrated Studies in Education at McGill University in 2014. 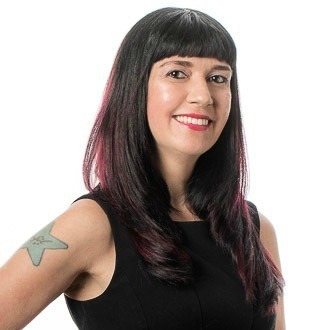 Her research interests include sociolinguistics, language policy, multilingualism, identity theory, critical race theory, language socialization, and qualitative inquiry. She did her doctoral research with multilingual Japanese-Canadian preschoolers in Montreal, focusing on their understandings and experiences of growing up multilingual. She developed a theoretical framework, LangCrit (Critical Language and Race Theory), to explore intersections of linguistic and racial identity and how children negotiate their identities and position themselves through language in different social and language policy contexts. She also articulated a methodology for generating data with young children. Her work has been published in Critical Inquiry in Language Studies, LEARNing Landscapes, Journal of Language Teaching and Learning, and Journal of Curriculum Theorizing. Her publications can be found here: https://mcgill.academia.edu/AlisonCrump. She is currently the Senior Managing Editor of J-BILD, the Journal of Belonging, Identity, Language, and Diversity. Read the archive of Alison’s BILD musings here! Angelica Galante was born in São Paulo, Brazil, and she has both Italian and Spanish heritage. Growing up, she would flexibly use Italian, Spanish and Portuguese in conversations and mixing languages has always been something natural for her. Angelica has always been interested in learning languages but coming from a financially underprivileged family, she knew this would be a challenge. At the age of 13, however, she got her first scholarship to study English at a local private language institute. Knowing English opened several doors for her to further her studies. She attended Universidade de São Paulo, where she took courses in Latin, Sanskrit, ancient Greek, Esperanto, and Tupi. After completing her undergraduate studies, Angelica began teaching English as a Foreign language, went back to school to study Theatre, and formed an indie rock band. After performing for a few years, Angelica felt the rock star life and acting were not for her and decided to focus on language learning and teaching. She spent 15 years in Brazil teaching English, designing language curricula, experimenting with drama in language learning, and coordinating a language school. In 2009, Angelica moved to Canada as an international graduate student in the Applied Linguistics program at Brock University, in St. Catharines. Four years later, she became a permanent resident and moved to Toronto to pursue her PhD in language education at OISE/University of Toronto. During her graduate studies, she also taught several courses at Niagara College, George Brown College, University of Toronto, York University and Brock University. 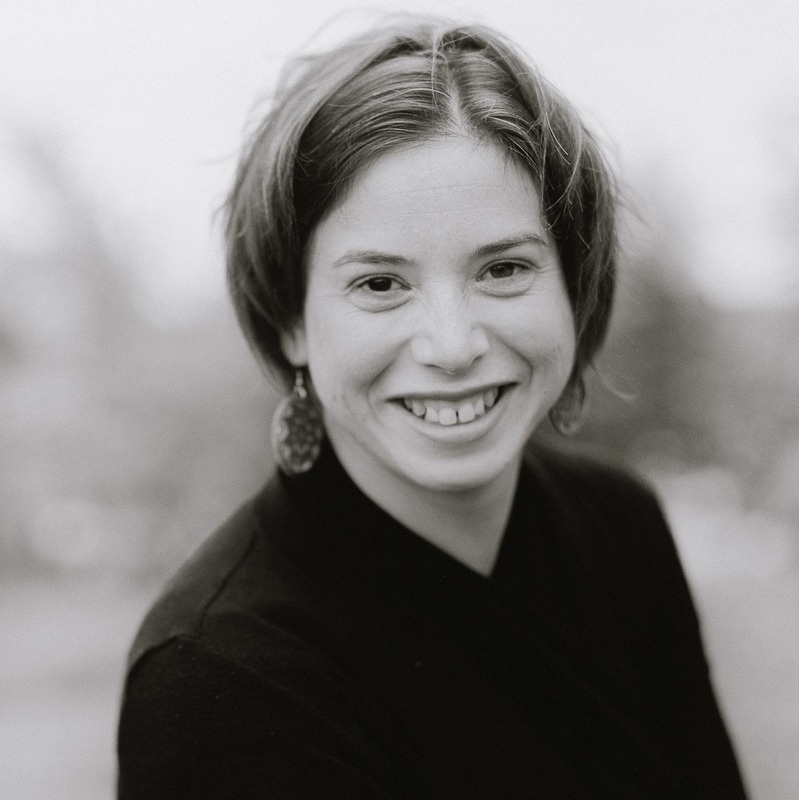 She moved to Montreal in 2018, when she accepted a position as assistant professor in Applied Linguistics at Concordia University and proudly became a BILD member. Her hybrid and ever-changing identity has contributed to her research interests. She is particularly interested in examining the effects of plurilingual instruction on plurilingual and pluricultural competence, vocabulary learning, and identity building. In her free time, she likes to practice French, go to rock concerts, ride her bike, watch movies and play with her cat Leonard (named after Leonard Cohen). April Passi is a PhD student in the Department of Integrated Studies in Education at McGill University. She completed her MA in Second Language Education in the same department in 2015 and has worked as a research assistant for two different projects related to Indigenous language revitalization. She also teaches English as a second/subsequent language at a variety of institutions and occasionally works as a substitute teacher in Montreal’s public schools. Teaching gives her plenty of opportunities to observe the interaction between language and identity, and is also a driving force in her doctoral research. 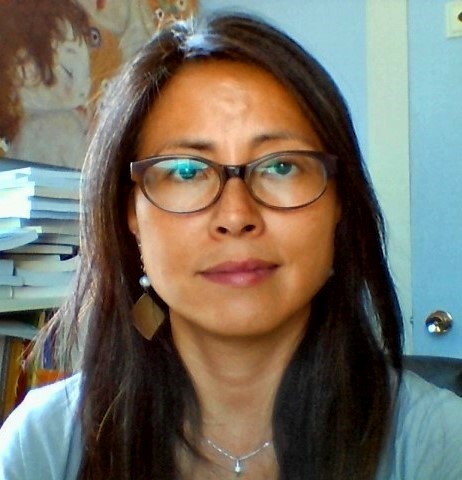 April’s doctoral work will explore Indigenous language revitalization and language policy in Canada, language teacher training, and interactions between Eurocentric and Indigenous knowledges and methodologies. Her research interests include multicultural education, Indigenous methodologies, language ideology, language teaching, and teacher training. You can read April’s posts for BILD here! Catherine Levasseur est titulaire d’une maîtrise en anthropologie de l’Université Laval (2002) et d’un doctorat en Sciences humaines appliquées à l’Université de Montréal (2017). Ses travaux de recherche s’inscrivent à la croisée des champs de la sociolinguistique et de l’éducation. Ils traitent du rapport entre les langues et l’identification en contexte linguistique minoritaire. Sa recherche ethnographique porte plus particulièrement sur les représentations, les discours et les pratiques langagières d’enfants plurilingues issus des programmes de francisation d’une école francophone de la Colombie-Britannique. Les résultats de recherche montrent comment le positionnement de ces élèves par rapport à la communauté imaginée des francophones met en lumière des enjeux plus larges d’inclusion et d’exclusion à l’école. Catherine Levasseur a aussi comme intérêts de recherche les concepts et théories qui traitent des idéologies langagières, des New Speakers et de la socialisation langagière. Ses recherches qualitatives s’inscrivent dans une démarche critique et appliquée. Elle espère que sa recherche contribuera à l’inclusion des locuteurs plurilingues en contexte scolaire francophone et à leur reconnaissance en tant que membres à part entière de la communauté. Emmanouela Tisizi is a PhD student in the Department of Integrated Studies in Education (DISE) at McGill University. She was born and raised in Greece’s capital, Athens and has always been inspired by Greek language, art and literature. Her academic journey entails studies in the fields of Greek Philology (BA), Modern Languages (MSt) and Education Language (MSc). 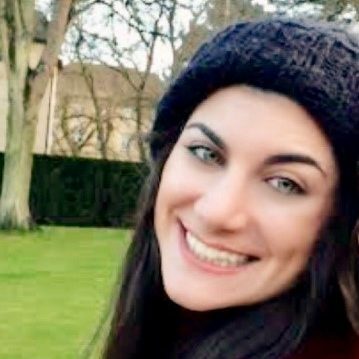 She was very fortunate, as she had the opportunity to delve into these fields while being admitted in three great universities, namely the University of Athens (Greece), the University of Oxford (UK) and the University of Edinburgh (UK). Each of these institutions and of course the people she met in them affected her research interests, her understandings about research and, largely, her own worldview. She is passionate about studying the ways in which languages and people evolve over time and through social interaction. She has worked as a Greek Literature and an ESL teacher, and is currently working as a research assistant in a study about English-speakers’ identity and representation in Montreal. Her research interests include cultural contexts and learning, intercultural studies and identity theory. Her doctoral work will explore young Greek-Quebeckers’ identities and their rapport to Greek culture and language. Besides teaching, studying and writing, Emmanouela loves traveling, skiing and going to good concerts! Florence was born and raised in France. Her parents gave her a love for literature and African culture. However, they always wanted her to be a doctor. She chose to be an anthropologist and studied history and ethnology at the University of Paris X. After one year of teaching French and History in the Parisian suburbs, she decided to travel the world and share her passion for education. She has lived and worked in several countries that gave her the opportunity to implement her postgraduate degrees in French didactics specialized in ICT and to analyze different multicultural work environments and different educational organizations. Florence is a devoted educator who gained invaluable experience while working on curriculum renewal at Hong Kong (HKCCCU Logos Academy, Lutheran School, Carmel International School, Hong Kong Baptist University) as well as for French NGOs (French Education Network). While at the Hong Kong Baptist University, she developed a platform for teaching French as a foreign language. She also worked on solutions to the high drop-out rate affecting the university’s language courses. Her research interests focus on developing digital tools to improve language learning and studying cultural inference in oral exchanges between humans and artificial intelligence. Florence now teaches at McGill’s French Language Centre. John Wayne N. dela Cruz was born and raised in the Philippines, and moved to Alberta, Canada 8 years ago. In that journey, he learned Tagalog, English, French, and his heritage languages Ilocano and Kapampangan. After finishing his BA (Hon) in Anthropology in 2016, he decided to teach English on the south shore of Montréal as a Language Monitor in oral conversation workshops (where, to a smaller degree, he also helped teach French to francisation students, who are fresh immigrants to Québec). He recently started an MA in Applied Linguistics to further learn about the ways by which we teach and learn languages. 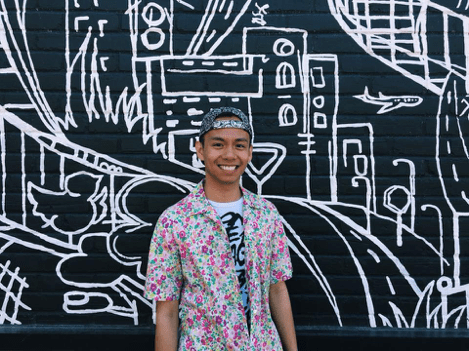 As a researcher, he is interested in investigating the intersections and interactions of language (use, pedagogy, and acquisition), culture, and identity – topics that are personally relevant to him as an immigrant and language learner and teacher. Concurrently, he still works in language teaching in different capacities, as well as in research on plurilingualism and pluriculturalism. Kathleen (Apple) Green is a PhD candidate in the Department of Integrated Studies in Education at McGill University, where her research will focus on the long-term effects of Mandarin language exchange programs. Kathleen began studying Mandarin on an academic exchange to Wenzhou, China in 2005 and has been interested in Mandarin second language education ever since. In 2012, she received a master’s degree in linguistics from Fu Jen University in Xinzhuang, Taiwan. Her master’s thesis focused on the use of pragmatic markers in non-native speech in Mandarin. Kathleen has several years of language teaching experience, including an introductory Mandarin Chinese course at a weekend school established by the Chinese Cultural Association of New Brunswick. You can read Apple’s posts for BILD here! 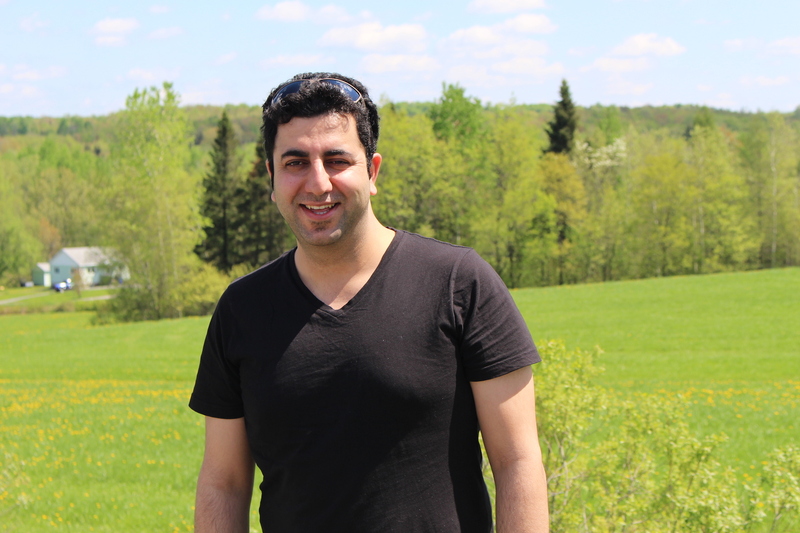 Mehdi Babaei is a PhD Candidate in the Department of Integrated Studies in Education at McGill University. His research interests include language and identity, multilingualism, critical sociolinguistics, and TESOL teacher education. He has been actively involved in three areas of teaching, research, and translation over the past few years. In his doctoral research, Mehdi is interested in exploring how multilingual immigrants with higher education qualifications perceive their language learning experiences in intercultural Québec, how they are invested in learning French and English as an additional language, what barriers they perceive, and how their new identities are constructed and negotiated through their use of multiple languages. Mela Sarkar was born in Calcutta, India, to a transplanted Ukrainian-Canadian farm girl and a Bangladeshi Brahmin who had met as grad students at the University of Manitoba in 1953. They wound up settling in Toronto, where she grew up. Issues of heritage versus dominant languages, plurilingualism/ pluriculturalism, and hybrid identities were therefore inevitably woven into the fabric of everyday normal for her. She has never gotten over the frustration of not being able to understand when her parents spoke Ukrainian and Bengali to their friends and relations, and has been trying to one-up them linguistically ever since. Moving to Montreal and raising two French-English bilingual children in a relationship with a pure laine Québécois de souche was one way of trying to deal with that frustration, on a personal level. Professionally, she wandered around, living in Montreal, Paris, Nanjing and Toronto as a student, while on the way to collecting degrees from McGill (B.A. East Asian Studies, 1982) and Concordia (M.A. 1993, Ph.D. 2000). Her training in second language acquisition at Concordia under Patsy Lightbown not only gave her a solid grounding in quantitative methodology (which after her doctoral dissertation she never used again) but also provided a model of unparalleled doctoral supervision that she will be striving to live up to for the rest of her career. Since taking up her current position at McGill’s Department of Integrated Studies in Education in 2001, she has branched out from SLA into sociolinguistic inquiry, with a focus on empowering minority-language speakers through diversification of their communicative repertoires. Mela has researched and published on Bangladeshi and other allophone preschoolers learning French at Maternelle, intercultural policy in Montreal schools (with Shaheen Shariff and Michelle Hartmann), the language of multilingual Montreal Hip-Hop (with Bronwen Low and Lise Winer, on a FQRSC/SSHRC-funded project) and Mi’gmaq teaching at Listuguj First Nation (where her main research partners were McGill Ph.D. student, now colleague / Listuguj band member Janine Metallic, community-based teacher-researchers Mary Ann Metallic and Janice Vicaire, and Listuguj Director of Education Gail Metallic, as well as four academic co-applicants on a SSHRC Insight grant). Her work has appeared in the Annual Review of Language Acquisition, the Canadian Journal of Native Education, the Canadian Modern Language Review, Diversité Urbaine, Grenzgänge: Beiträge zu einer modernen Romanistik, the International Journal of Multilingualism, the Journal of Language, Identity and Education, the Journal of Sociolinguistics, Kinéphanos, Language Awareness, Language, Culture and Curriculum, and Québec Français, as well as in over a dozen edited volumes or proceedings. Since 1989 she has taught thirty courses at every level from first-year undergrad to advanced doctoral seminars, presented at over fifty conferences and applied for far more grants than she has gotten. She has also worked with several dozen M.A. or Ph.D. students in a supervisory or advisory committee capacity and has been immeasurably enriched thereby. In her spare time, when not volunteering on the board of Montreal’s South Asian Women’s Community Centre, she knits and quilts for her grandchildren (four or five at last count). They will be multi- and plurilingual, or she will know the reason why. Melissa J. Enns is an outdoorsy, travel-loving Saskatchewanaise who is fascinated by all aspects of language, language acquisition, and language teaching. Her interest in language and social contexts was born out of her undergraduate studies in linguistics, Spanish, and several courses in anthropology, although her love of language learning itself was discovered much earlier, precipitated by a three month trip to Mexico. Melissa’s experience as an undergraduate Spanish tutor and T.A. and later a full time ESL instructor at an academic prep school in Saskatchewan have deepened her interest in applied linguistics and education. In June of 2017, sociolinguistics and applied linguistics came together as she had the opportunity to facilitate a workshop on translanguaging at the TESL Canada national conference in Niagara Falls. Currently, Melissa is working on her master’s thesis in McGill’s Second Language Education Program. Her research centers on bridging the gap between research and practice through her language education blog, Ramblings of a Linguaphile, where she and her contributors attempt to present theoretical work in second language education in accessible chunks that are (hopefully) of practical value to language teachers in the classroom. Melissa’s other loves include running, collecting plants, and being artsy. Born and raised in Toronto, Ontario, I moved to Montreal in 2006 in a bid to learn our country’s other official language: French. What started out as linguistic curiosity soon became a journey into understanding second language acquisition. On the strength of my BA in English literature and a TESL certificate that I had obtained, I started teaching English as a second language in Montreal. I decided that if teaching ESL was going to be my thing, I should, at the very least, try to understand the language background of the majority of my students. I enrolled in a French language certificate at Concordia. As this certificate was coming to a close, I decided to continue my education and do a TESL graduate diploma to hone my teaching skills. And that’s when it happened. My proficiency in French had now grown substantially. I understood the many hows and whys of error production among my Francophone students. In tandem, my skills as an English teacher were growing along with my knowledge of English grammar. I started to understand the reasoning behind my own errors in French production. The languages, you see, were interacting in my head and the conversations they were having mesmerized me into completing my MA in Applied Linguistics. I found myself digging deeper and asking more questions about second language acquisition and, in particular, perception–how did the sound of those languages get into my head? And I became drawn to understanding how learners perceive the native and not-so native phones of their target language. I focused this curiosity on what effect this might have on word recognition and grammar for L2 learners. Now a PhD student in Education, still at Concordia, I am continuing my research in phonology and focusing on how learners perceive and process different dialects and accents of L2 French, in particular those novel to them. Beyond language, I am a huge fan of punk rock, garage rock, and soul music–if it’s loud and melodic, I’ll scream along! I am also an aspiring horticulturist who likes to write short fiction and prose, and relax in the evenings with a nice, foreign horror film or two. As I am now belle et bien franglophone, I greatly enjoy hot cuppas with croissants, but not more than the warm hugs from my son and my husband. Sumanthra Govender is a PhD candidate in the Department of Integrated Studies in Education at McGill University. Her research interests are in identity formation, ethnic affiliation, heritage language education and maintenance, minority language rights and policies, sociolinguistics, and multiculturalism/multilingualism. Sumanthra has a Higher Diploma in Theoretical Linguistics from University College Dublin. Her dissertation focused on the duration of disyllabic words in Tamil. 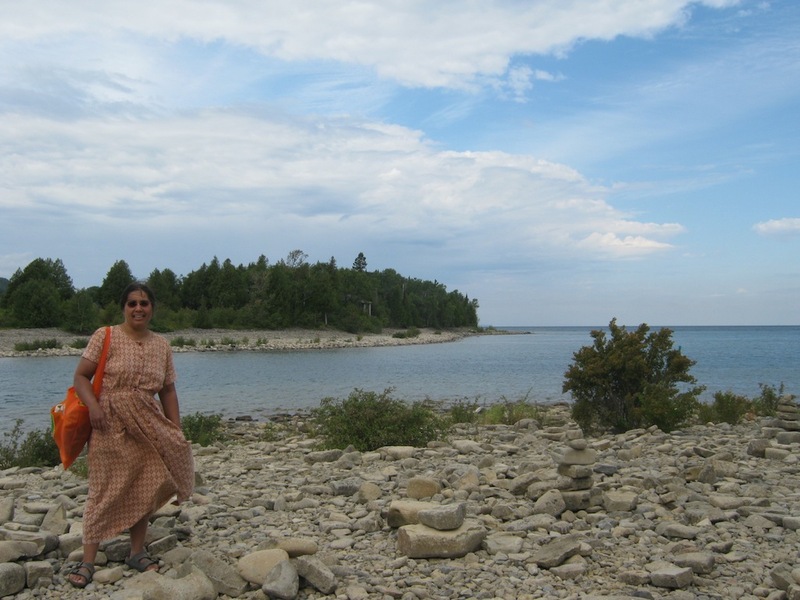 In 2002, Sumanthra graduated from Concordia University with a Master’s of Arts in Applied Linguistics. Her master’s thesis focused on assessing the depth of word knowledge among ESL/EFL learners through multiple word association responses. Sumanthra has been primarily teaching ESL (academic writing) and/or TESL at several universities and colleges in Montreal since 2002. She has also taught in Edmonton, Prague, and Toulouse. In addition, she is also an acting language specialist for the Standards Councils of Canada – ISO working group TC232 – focusing on language learning services in non-formal education and training environments. Explore Sumanthra’s posts on BILD over here! Sunny Man Chu Lau is Associate Professor in the School of Education at Bishop’s University in Quebec, Canada. Her interest in and advocacy for critical approaches to second language (L2) learning can be traced back to her English language experience both as a learner and as an educator in Hong Kong. Born and raised in this former British colony, since very young, she came to know and experience the hegemonic power of ESL, “English as a superior language” (Pennycook, 1998), in everyday life and how it impacted learners’ relationship with the language as well as with their life chances. One initiative she introduced to Bishop’s BA Double Major in English Second Language Teaching and Secondary Education Program was creating the course titled Critical Pedagogical Orientations to Second Language Teaching in order to promote pre-service teachers’ critical understanding of the sociopolitical dimensions in L2 education and to foster their commitment in culturally and linguistically responsive teaching. Before coming to Bishop’s, she obtained her doctoral degree in Second Language Education from the Ontario Institute of Studies in Education at the University of Toronto, under the supervision of Dr. Jim Cummins. Her doctoral thesis, “Practising critical literacy with English language learners: An integrative approach” (2010), together with her commitment to critical scholarships in language studies, won her the 2012 Founders’ Emergent Scholars Award (sponsored by the International Society for Language Studies and Language Studies Foundation). 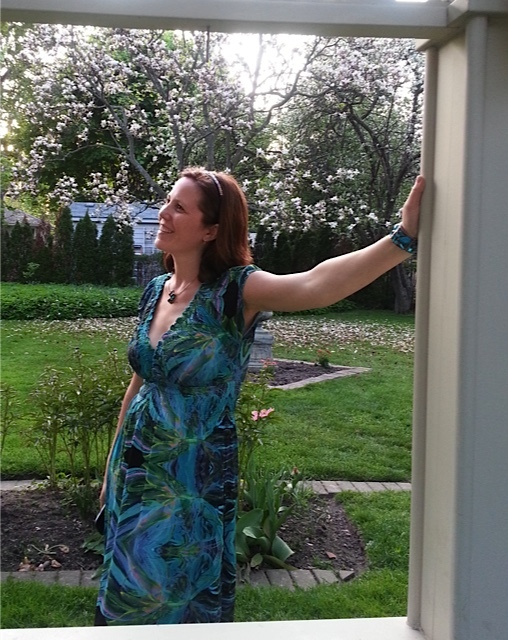 Apart from being a member of a multi-institutional research team on second language reading and writing, she is the principal investigator of two recent research projects (funded respectively by the Sciences and Humanities Research Council of Canada—SSHRC and Fonds de recherche du Québec – Société et culture–FRQSC). Both projects, one at the elementary level and the other one at Cégep, examine cross-language and -curricular collaborations between English and French teachers in their employment of plurilingual and translanguaging pedagogies to facilitate students’ plurilingual competence and critical literacy engagements. As she seeks dialogic approaches to theory-building, her chief focus is on collaborative classroom research with school partners. Further, she engages in ethnographic study in order to gain insights in how language is used. To prepare teachers for diverse learners, she conducts research on culturally responsive teacher education and migrant teacher preparation and integration. She has published in Critical Inquiry in Language Studies, Intercultural Education, The Reading Teacher, The New Educator Journal, Journal of Critical Literacy: Theories and Practices, Journal of Translation and Translanguaging in Multilingual Contexts, etc.